You are here: Home » World’s Oldest Winery, do you know how old? 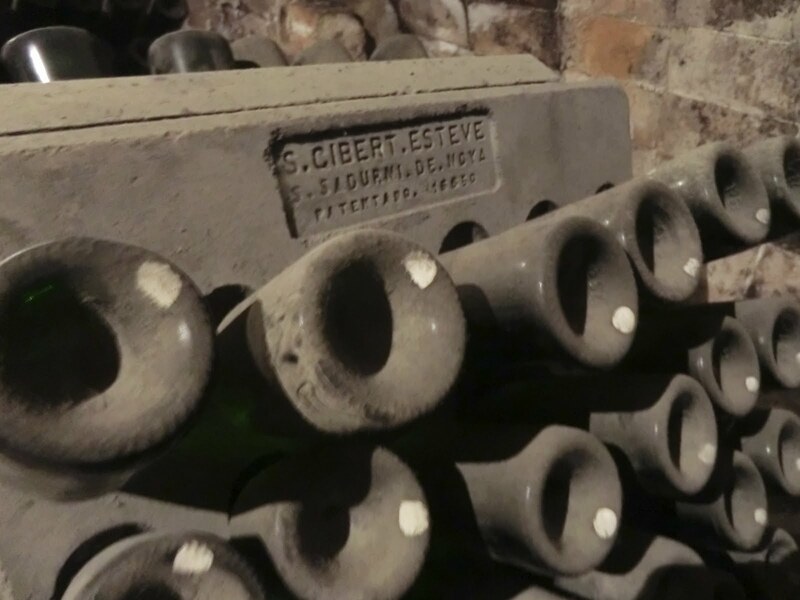 World’s Oldest Winery, do you know how old? 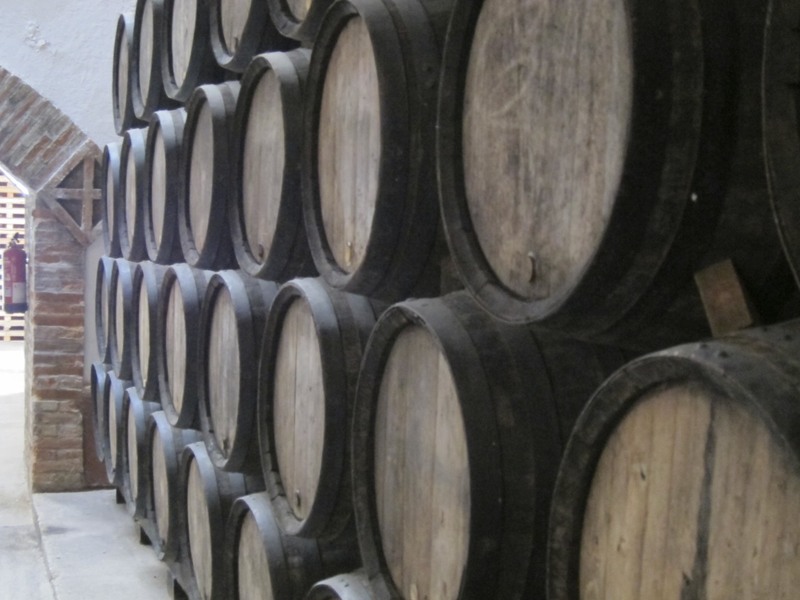 Ok, without googling it, no cheating now, how old is the World’s Oldest Winery? 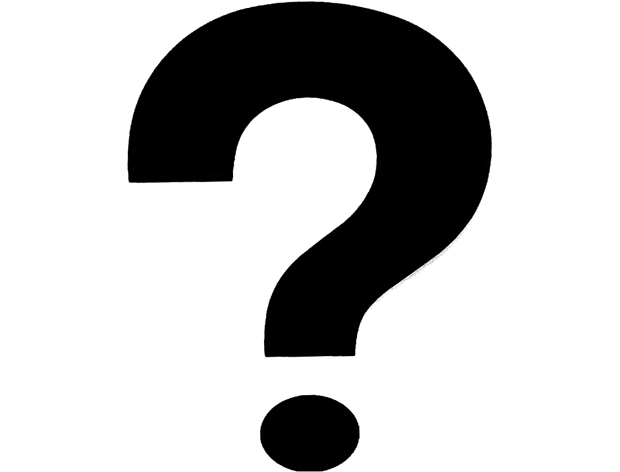 Where is it? And what are they famous for? If I told you it was 200 years old, would you believe me? How about 300, no? Ok, the truth is that the Worlds Oldest Winery, Codorniu Winery dates back to it’s formation in 1551, that is 460 years old. And it is still functioning and prospering. You will find this Winery in, Sant Sadurni d’Anoia, Spain to be exact. When in Barcelona this is one day trip definitely worth taking. A short 45 minute train out of Barcelona to Sant Sadurni D’Anoia, which is in the Penedes region. Cordorniu which produces wines around the world with wineries in Canada, California, Argentina and of course Spain. It is easy to get here wether by Car or Train, we utilized the RENFE train system and it is a great way to get around Barcelona. This trip cost us no more than 6 Euro’s round trip, a bargain considering gas is roughly $6 per gallon in Spain. What is great is that you can make a whole day of it in Sant Sadurni D’Anoia because there are a number of other well known Wineries in this town two of the best known are Cordoniu and Freixenet. In fact Freixenet is located about 200 feet from the train station. However to visit the worlds oldest winery, Codorniu you will have to take a taxi, you will find them to be plentiful around the train station. Codorniu doesn’t produce just any wine in Spain, they produce the famed Cava. Cava is a sparkling wine, just like champagne. Of course they can not call it champagne because it is not produced in the Champagne region of France. Therefore those crafty Spaniards created Cava. And just like champagne, it is controlled and no other Sparkling Wine can be called Cava. They produce Cava’s from a Brut to a Semi-Sec, that is from dry to sweet. This winery is also the first to produce Pinot Noir grapes into a beautiful Pinot Noir Cava, light, airy, just a touch of sweetness and a beautiful pink color. This turned out to be my favorite of the Cava’s, of course I am not new to this one, as we had it with our dinner the night before. The macabeau, parellada, xarello, chardonnay and pinot noir are the most popular and traditional grape varieties for producing Cava. 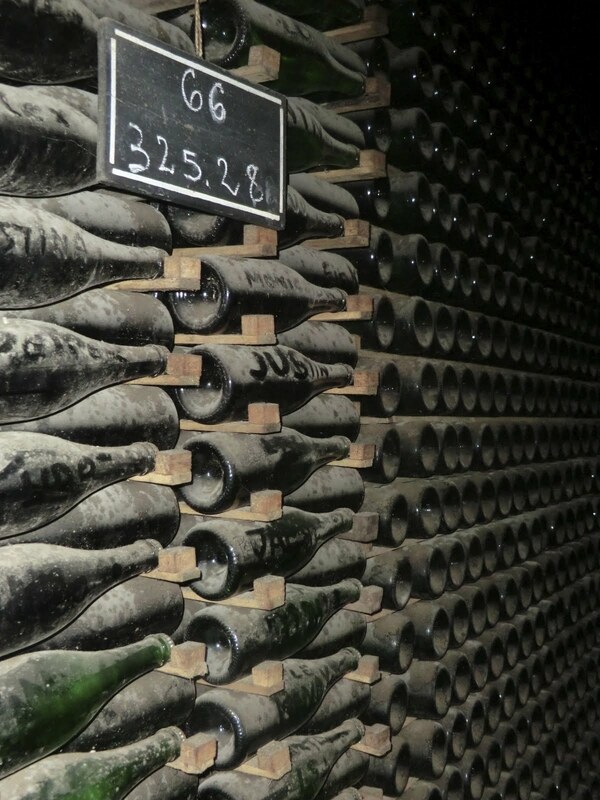 Only wines produced in the traditional method (methode champenoise) may be labelled cavas, those produced by other processes may only be called Vinos Espumosos (Sparkling Wines). About 95% of all Cava is produced in Penedes area in Catalonia, with the village of Sant Sadurni D’Anoia being home to many of Spain’s largest wineries. In the past Cava was referred to as Spanish Champagne, which is no longer permitted un European Union Law. 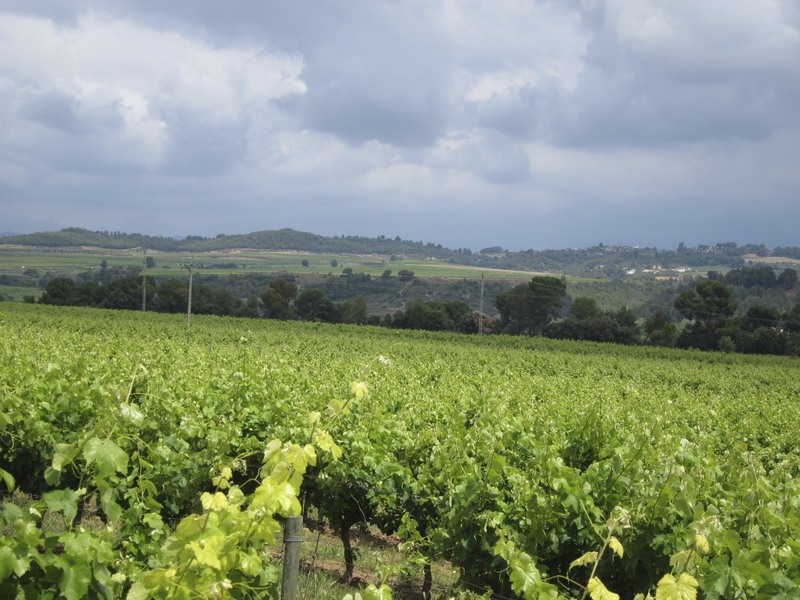 Codorniu grows grapes on roughly 3500 Hectareas of land, that is nearly 9000 acres of Grapes being grown for the Codorniu production. After the grapes are harvested they will be pressed and converted to Must. The Must is then filtered and put into large stainless steel tanks where it ferments and is transformed into wine. The smooth wines that come out of the cellar have the personalities of the different grapes. Coupage is the expert blending of these wines in the exact proportions defining each type of Codorniu Cava. Once it has been bottled, the wine goes into the cellars where it undergoes a second fermentation and is transformed into Cava. 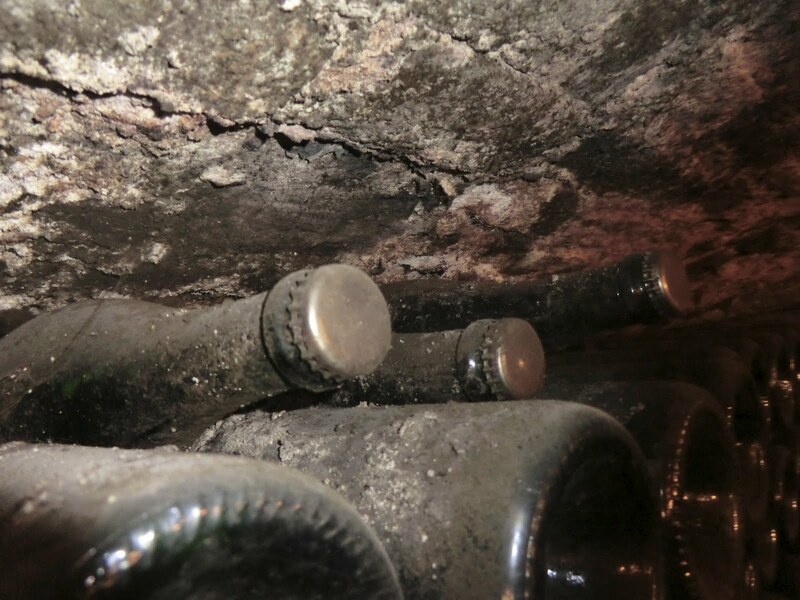 This involves a long aging which ends with the d’egorgement or disgorgement to remove the sediment and on occasion, the addition of liqueur d’expedition, or passing liquor to adjust the degree of sweetness. For those of you who don’t know how they remove the sediment from a capped bottle of wine or cava it is quite unique and simple. 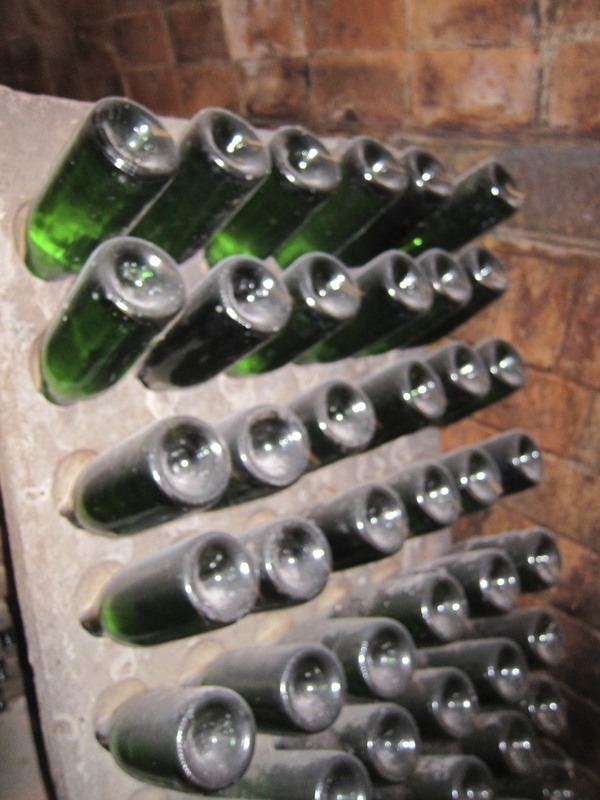 First, they slowly and methodically change the position of the bottle through a series of adjustments from a horizontal position to a nearly vertical position for the bottle, essentially moving all the sediment to the neck of the bottle. They then freeze the neck of the bottle, which freezes the sediment. Upon popping the top of the bottle, the pressure pushes up the sediment up and out. 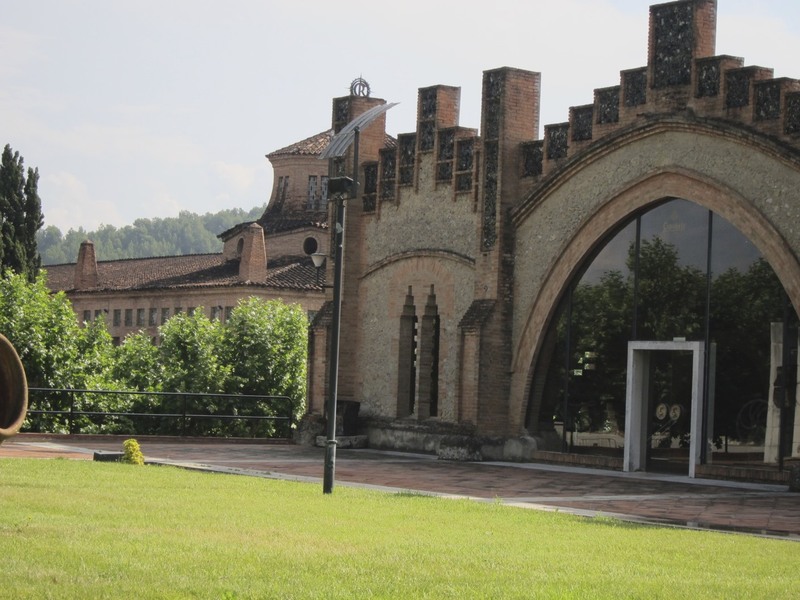 Why visit Codorniu, well for the Wine and Cava of course, but there is so much more to see, make sure you plan ahead and reserve a tour of the facility. 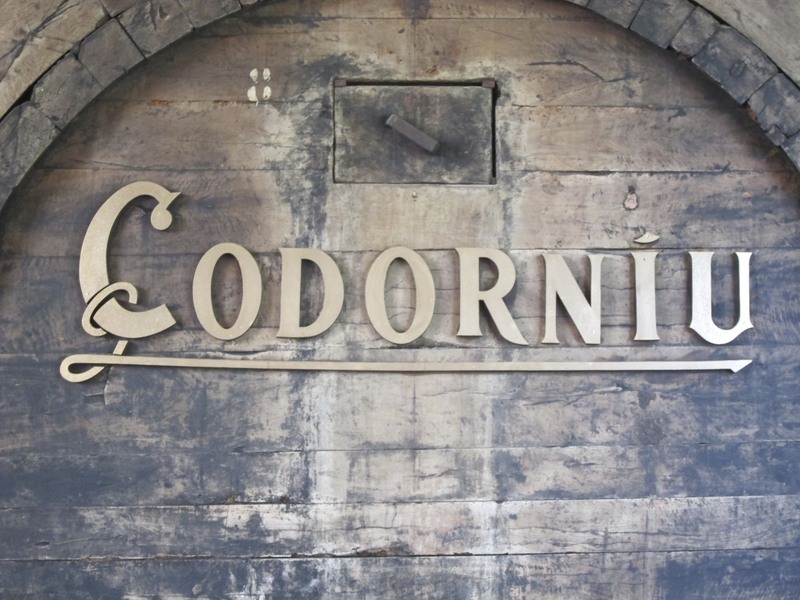 Since 1551 Codorniu has been a family owned and run business, 17 generations of family have lived an authentic passion for the land and high quality production of Wine and Cava. 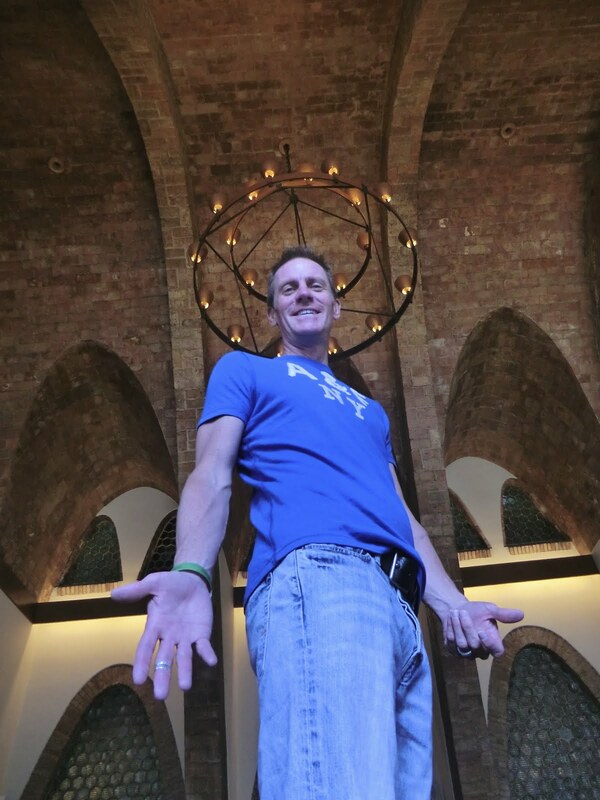 Today, the family continues to control and run it’s global empire of Wine and Cava Production. 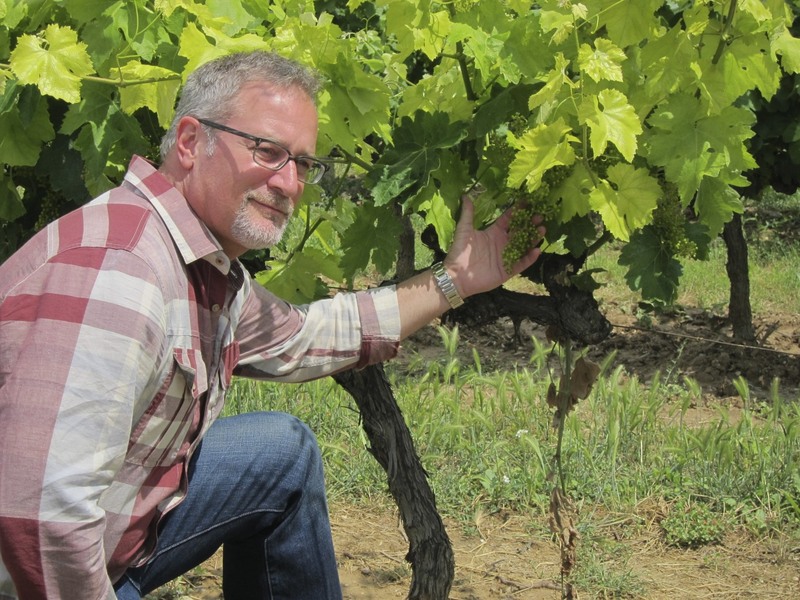 If you live in the United States, you might know then as the owners and producers of Artesia Wines. As impressive as the wine and cava are, the architecture of the building are equally impressive. 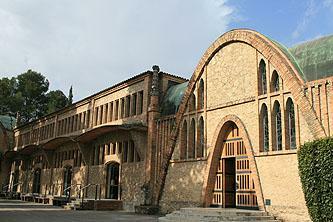 The imposing Codorníu winery buildings in Sant Sadurní d’Anoia were constructed between the end of the 19th century and the beginning of the 20th (1895-1915). They were declared a Monument of Historical and Artistic Interest in 1976 and represent one of the most outstanding examples of winery architecture designed specifically for the production and ageing of cava. The winery is not only an impressive architectural complex – it continues to be the neuralgic centre, and indeed symbol, of Codorníu’s tradition and values. The architect Josep Puig i Cadafalch, who, together with Antoni Gaudí, was one of the leading representatives of the great Catalan modernist architectural school, was in charge of the design and construction of the winery. Puig i Cadafalch perfectly combined creativity with regard for specific requirements and functionality in this type of building. He also emphasized his respect for the surrounding natural environment. Features of the land permeate the building giving the impression that the very winery has emerged from the earth on which it stands, or rather, with which it blends. The Celler Gran was the old fermentation room for Codorníu. 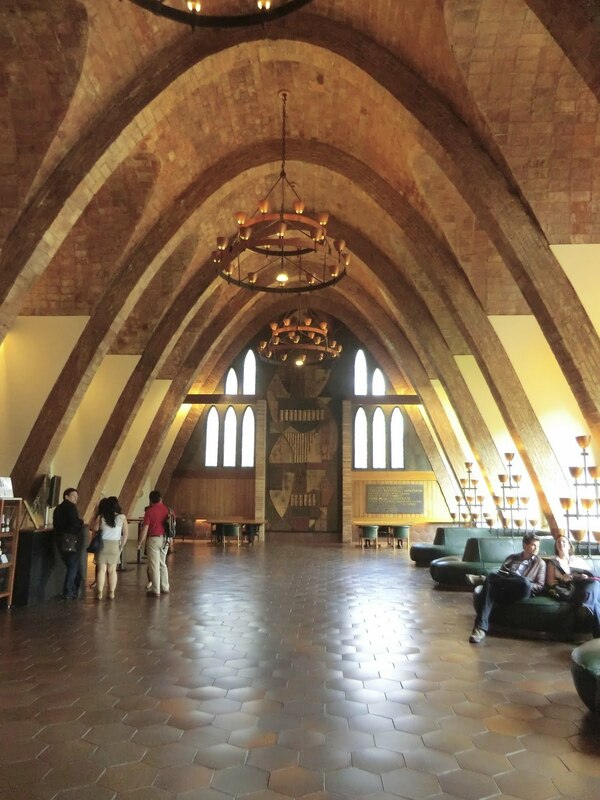 It is an area of more than 10,000 Square Feet, surmounted by a Catalan vault and divided into three sections. Originally the barrels and oak vats were stored here. The vault of the old Dispatch Department – currently Reception – is supported by parabolic arches of fired red brick. The hexagonal windows provide interior lighting. Outstanding features in the façade include the magnificent stained glass and the pinnacles, so typical of modernism, which round off the building’s charm. 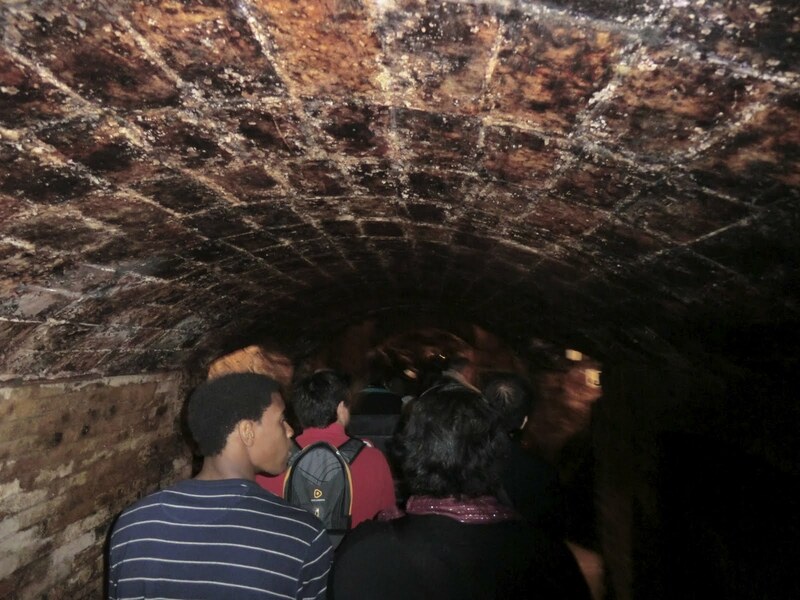 Below ground, a labyrinth of excavated underground cellars built of fired brick occupies more than 18 miles of caves. 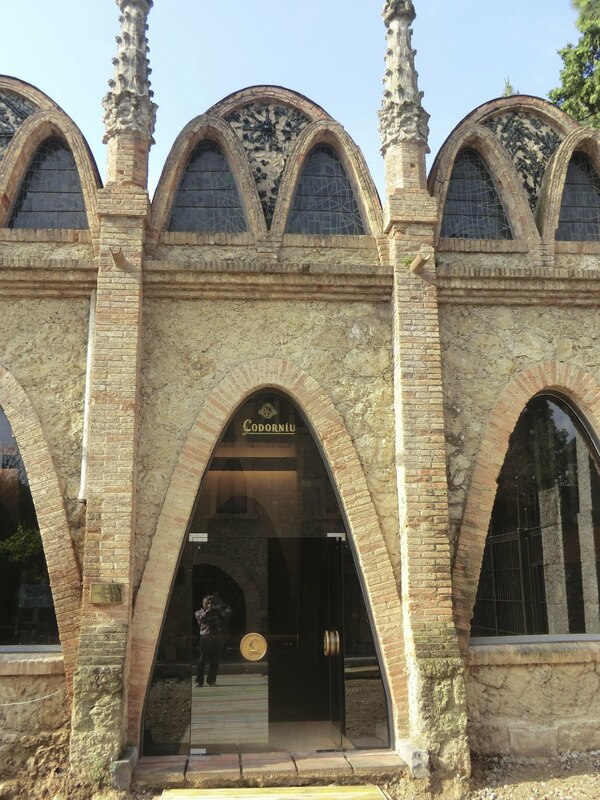 The Cellars at Codorniu can hold a maximum 100 million bottles of Wine/Cava. The Winery sells through this particular cellar about 1 million bottles a year, so this cellar could in fact hold 100 years of inventory. My own cellar only holds 500 bottles, and it’s damn expensive to keep full, I can’t even imagine what the value is of the inventory at any given time is in this place. 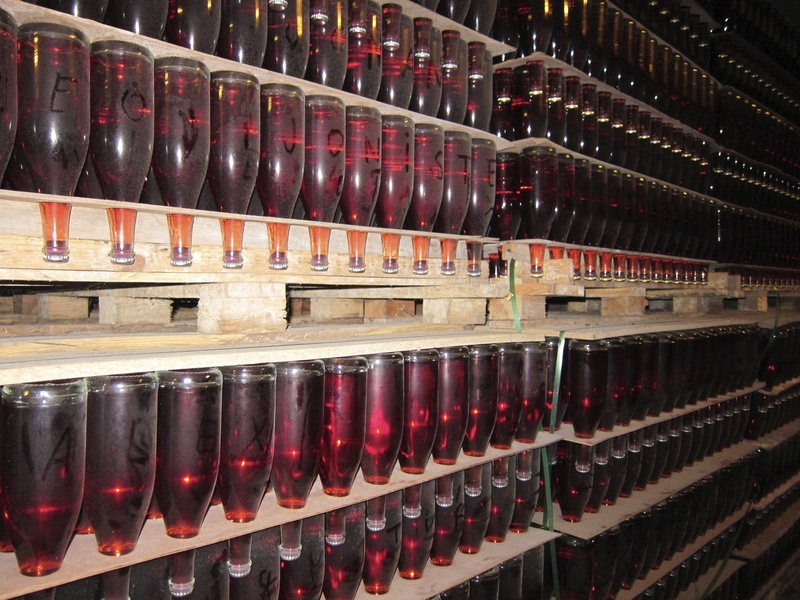 Here Codorníu goes through secondary fermentation on lees and aging of its cavas. The reserve wines, which are used after disgorging, are also aged here. This is where the tour is really fascinating, you will learn how Cava is made, step by step. You will also board a small train for a tour of the caves, no you won’t tour all 18 miles, but you will see the oldest sections of the caves along with some of the oldest wines and Cava’s around. You don’t have to be a Oeonphile to appreciate Codorniu Winery and it’s fantastic Cava’s. If you go, you will want to try their Rose Cava’s; in fact please bring some back for me. 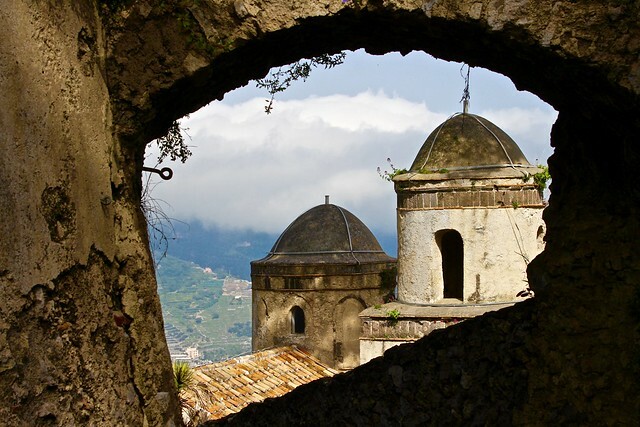 Learn more about Codorniu Winery here. Plan ahead, if your interested in taking a tour of Codorniu, you have to make a reservation, you can do that here. When the taxi drops you off, get the drivers phone number, you will want to call him to come back and pick you up, there won’t be many taxi’s hanging around the winery. There aren’t any restaurants within walking distance of either winery, so eat before your leave, or better yet, pack a picnic. Catch an early train, so that you will have plenty of time to tour both wineries.